Now a dry brush of a yellow ochre type colour was done to the top of each of the bases. This lightens the colour on the bases considerably while leaving some depth. It also is a good base for the next two dry brush colours. 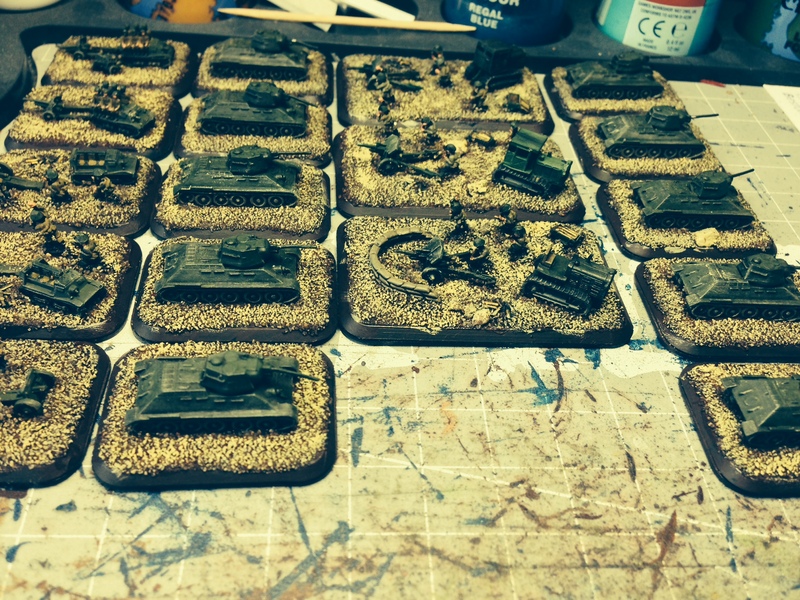 I’ve beenm thinking about that for the Late War chaps – I think my SMG guys are in winter dress and I have another batch of AFVs to paint for that – maybe some snow weathering on them is possible. Seriously considering.